Okay, so it wasn’t the best of summers in Ireland weather-wise, but there was plenty of enjoyable creative activity for families happening indoors at IMMA. Mornings at the Museum, the hour-long family workshop, ran on Wednesday and Thursday mornings, starting during IMMA’s festival SUMMER RISING in June, and finishing during national Heritage Week at the end of August. In the company of IMMA staff, children and grown-ups had an opportunity to experience exhibitions and explore ideas, materials and processes while making their own artworks. What a range of exhibitions and artworks we got to visit: Kenneth Hall’s works in the IMMA Collection exhibition Fragments, the Midcentury Studio photos in Stan Douglas’s Mise en Scène, the colourful oil paintings and delicate leporellos of Etel Adnan, and the revolutionary forms, shapes and letters in El Lissitzky’s work. Take a look at some of the fun we had at this summer’s Mornings at the Museum. Then below, find an outline of more great family events happening at IMMA as autumn arrives and the school year begins. Sunday 13 September, 2:00pm – 3:30pm | Love to have some creative family time together? Join in this hands-on free workshop linked to the opening weekend of What We Call Love: From Surrealism to Now. Drop-in to Reception at 2pm. Followed by an afternoon Tea Dance for the whole family with a live show band, dancers and much more. Friday 18 September, 6:15pm – 7:30pm | On Culture Night, all across Ireland arts and cultural organisations open their doors until late … Begin the evening at IMMA with your family and join in our special artist-led workshop for kids and grown-ups. Free, ask at Reception for directions. Sundays, 4 October until 6 December, 2:00pm – 4:00pm | IMMA’s popular weekly family workshop Explorer returns in October. 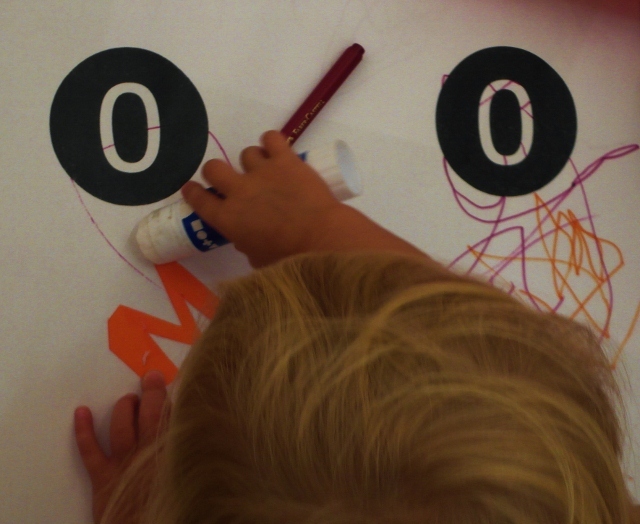 Get creative as a family, explore artworks with IMMA staff, and enjoy a hands-on workshop in the galleries. Explorer is drop-in, fun and free! Wednesday 28 October and Thursday 29 October, 10.00am – 11.00am | It’s the Halloween Midterm Break and that means it’s time for Mornings at the Museum again. During this family workshop, children and grown-ups can enjoy visiting an exhibition together and making artworks in the gallery. Free, ask at Reception for directions at 10am. Closer to each event, click here for updates and more details. Next Video:: What does love mean to you?